On April 1, 2019, Century Mile Racetrack and Casino finally opened its doors for business. Near the Edmonton International Airport, Century Mile Racetrack and Casino is just off Queen Elizabeth II Highway and convenient in many respects. The facility had been Northlands Park Racetrack & Casino and operated as such for more than a century. In January 2019, however, it closed to undergo serious renovations per new management. Century Casinos had already established casinos in Calgary, St. Albert, Leduc County, and Balzac. It subsequently bought the Edmonton property to expand its customer base in Alberta. Formed in 1992, Century Casinos started with experienced casino executives wanting to branch out from their previous affiliations. They set up shop in Colorado in the US, eventually merging with Alpine Gaming and focusing on renovating casino properties to resell them. They have held onto several, though, as they own two in Colorado in addition to the Alberta properties. 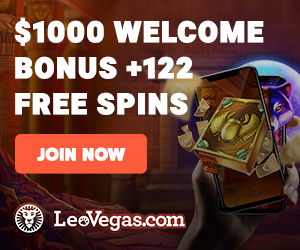 Century owns a stake in casinos in Poland and Bermuda, and it opened a casino in Bath, England, in 2018. The latest of its achievements is Century Mile Racetrack and Casino, and it is now open. Northlands Park originally opened in 1900, maintaining a long history as a go-to horse racing track that specialized in harness racing. The establishment offered a small casino with slots and video lottery terminals (VLTs), several dining areas, and simulcast lounges. It had been renovated in 1995 and upgraded again in 2005. When Century Casinos purchased the property, it closed in January 2019 for a major renovation. The casino was expanded, and the entire facility received upgrades with the newest technology. Century invested approximately $50 million into the redevelopment. The new Century Mile Racetrack and Casino’s main structure is the grandstand building and casino, which spans 89,700 square feet. The casino is on the first floor and boasts of 550 slot machines and electronic game tables, 28 stadium-style games, 14 VLTs, and a restaurant, bar, and lounge. In addition, there is an interactive digital wall display, off-track betting room, and a new and innovative area called REPLAY as a social entertainment gaming space. The second floor boasts indoor and outdoor seating for the races, as well as private suites, a bar, and dining establishments. There is even a third floor that consists of an open patio to oversee the track and paddock areas. Expansions and improvements went beyond that building, though. New barns that can hold 800 stalls were built, and the track itself was upgraded. It is the only Class A one-mile track in western Canada and will offer racing for thoroughbreds, standardbred, and quarter horses. The new barns are impressive enough that there are free tours of them. People are able to view the horses and find out more about how the horses, riders, and drivers prepare for races. The staff at Century Mile spend the last weekend in March cleaning, training, testing machines, and making the final preparations for the April 1 opening. And the Alberta Liquor, Gaming, and Cannabis Commission (AGLC) was in the house for testing and approvals. And on April 1, they popped the champagne, welcomed guests, and provided tours of Century Mile. People took in the latest technology, amenities, and betting equipment, while horses trotted around the track outside. The final cost on the renovations was close to $61.5 million, but they hope it will be worth it. After all, the entire establishment can hold approximately 5,000 people. The time to test the full range of activities at Century Mile will be on April 28, the first official day of racing. When capacity needs to increase, Century Mile has the ability to bring extra grandstands to accommodate up to 10,000 people.